List Rules Vote up the songs with the craziest back story. Some of the biggest songs in history were written about unexpectedly deep subject matter. While many of history's best songs are straightforward, others aren't so cut and dry. Whether it's the disturbing incident that inspired Van Halen's "Jump," the court case that inspired Bonnie Raitt's "I Can't Make You Love Me," or the love triangle behind the Eric Clapton-penned "Layla," there are some truly crazy backstories behind some of your favorite songs. Here are a few of the most surprising. "Billie Jean" might be one of Michael Jackson's most beloved songs, but the story behind it is terrifying. According to legend, Jackson had been receiving letters from a woman who claimed that he was the father of her child. The letter writer was relentless, constantly proclaiming her love for Jackson while trying to convince him to start a life with her. Jackson was so disturbed by the letters that he often had nightmares about them. One day, Jackson received a package from the same woman that included a letter, a photo, and a gun. She wanted him to kill himself, and said that she'd kill herself and her baby so that they could be together in another life. The incident inspired Jackson to work through the horror he felt and write a song that addressed the woman indirectly. Led Zeppelin - "All My Love"
Led Zeppelin's "All My Love" sounds like a simple love song but masks a devastating back story. The ballad was written about singer Robert Plant's son, Karac, who died suddenly at the age of five from a stomach virus. "I think it was just paying tribute to the joy that (Karac) gave us as a family and, in a crazy way, still does occasionally," Plant later said of the song in an interview. "His mother (Maureen) and I, often, the memory… changes, the contrast and the focus changes as time goes on. It’s a long time ago that we lost him. 40 years ago." Just two years later, Plant and then-wife Maureen gave birth to another son, Logan, who the singer says is so similar to his late child that the "two images are blurred." 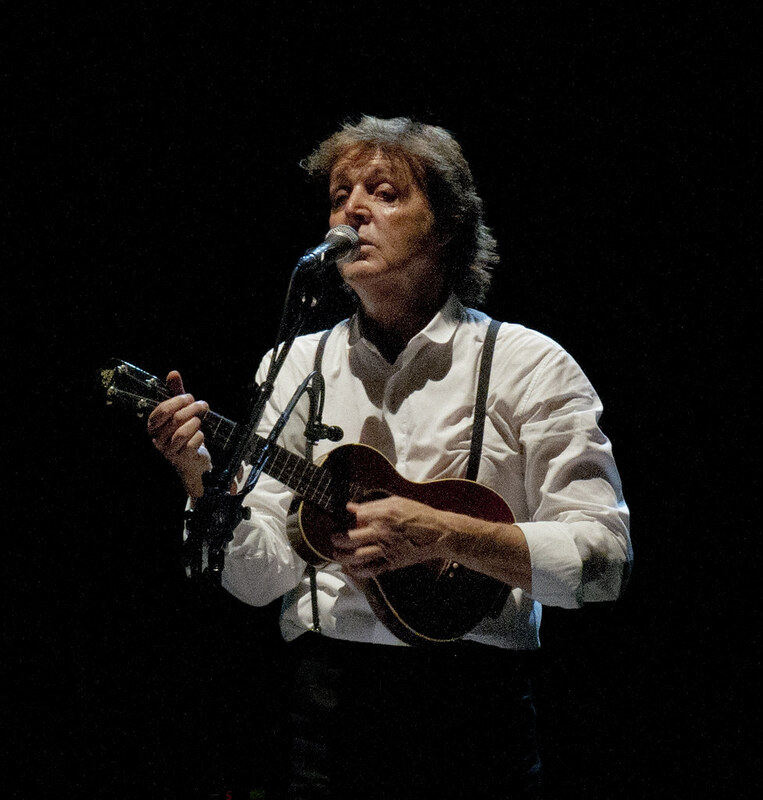 Paul McCartney's classic Beatles song "Let It Be" was inspired by a dream he had about his mother. McCartney claimed he was struggling personally at the time, delving deeper into drugs and alcohol. One night, he came home from a long night and fell asleep. When he woke up, he realized he'd dreamed of his mother who died whe he was just 14. "My mother appeared, and there was her face, completely clear, particularly her eyes, and she said to me very gently, very reassuringly: 'Let it be,'" McCartney said. "It was lovely. I woke up with a great feeling. It was really like she had visited me at this very difficult point in my life and gave me this message: Be gentle, don’t fight things, just try and go with the flow and it will all work out." McCartney woke up with inspiration, and proceeded to write about his "mother Mary" in one of the most legendary songs in music history. Bonnie Raitt's heartbreaking "I Can't Make You Love Me" was written by songwriters Mike Reid and Allen Shamblin. In an oral history of the song, Shamblin recalled that the inspiration came from the story of a homeless man who'd just gone through a difficult divorce. "There was a guy living under a bridge, somewhere close to downtown Nashville, and in the story, he said his wife came to pick him up, under the bridge, and took him down to the courthouse to get a divorce," Shamblin said. "And he said, 'We hugged, and we cried, and then we went through the divorce.” And he said, “You know, you just can’t make a woman love you.'"